Fieldview’s Data Center Infrastructure Management (DCIM) solution gives our customers access to accurate, real-time information about all their critical systems, both Facilities and IT equipment. From the individual circuits, all the way to the global portfolio, our FieldView software gives you the information you need to make informed decisions about how to use your assets, space and especially your energy dollar most effectively. TraceTek leak detection systems provide early notification of a liquid leak and can identify the location of the leak when it is not readily visible so costly damage can be avoided. Modular sensing cables and control panels can be configured from simple to complex depending on the requirements, which also provide for expansion as needs change. RF Code is a leader in providing Active RFID Asset Management and Environmental Monitoring Solutions. Providing the precise, accurate and actionable information about the location, status and state of physical assets, RF Code solutions ensure flawless asset-related decision making. Based on our award-winning Active RFID (433 MHz), a great technology for allowing real-time data capture and data flow in any environment. NORLINX provides proven turn-key Datacenter Infrastructure Management Solutions. Our Global Site Management software suite facilitates easy management of industry hardware while providing IT and facilities personnel capacity management, risk mitigation and decision support. Priced by the rack, our customers have enjoyed a simple and affordable entry in to Data Center Infrastructure Management. 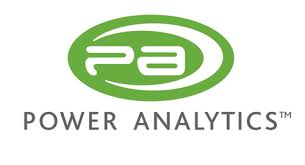 Power Analytics world-class Paladin® Software gives energy management and electrical engineering professionals control over their critical power infrastructures from design and modeling to simulation and analysis, saving thousands of dollars, eliminating downtime, recovering stranded load capacity and optimizing business continuity. A UPS system provides needed reserve power to mitigate the potential of disruption. However, the UPS is dependent on the specified performance of batteries, an electro-chemical device prone to failure and premature degradation. To ensure health and availability of battery power, a battery monitor “closes the critical loop” of reserve power protection. Midtronics CELLGUARD SYSTEM provides 24/7/365 surveillance of key battery performance parameters. Nlyte is an industry leader in providing a Data Center Infrastructure Management Software solution that addresses today’s challenges of managing people, power, networking, assets, policies, changes and business attributes to efficiently operate a data center. The Nlyte (DCIM) solution effectively automates the management of the data center infrastructure’s physical environment through capacity planning, asset management, reporting, monitoring, connection management and workflow management.